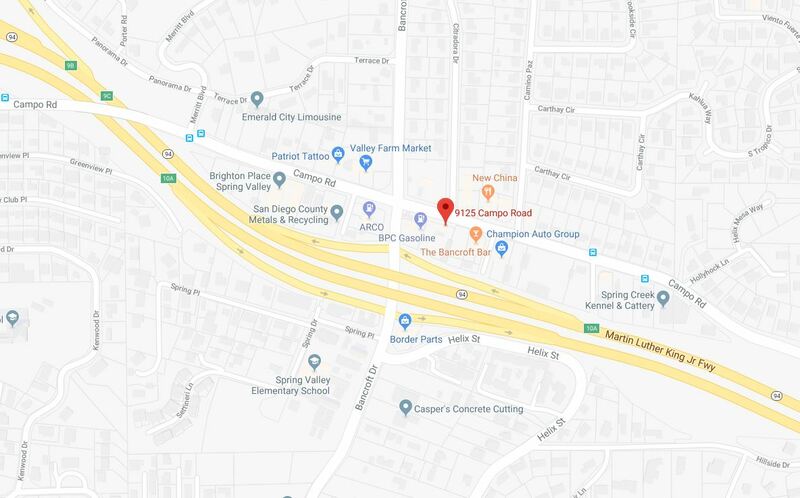 California Firewood is located in Spring Valley on Campo Road just east of Bancroft Drive on the southeast corner directly across the street from the ARCO gas station. We’re located off the Bancroft exit on the 94 Freeway. Drive right into our lot entrance and we’ll get you started and your vehicle loaded. If you’d rather have somebody do the work for you, just give us a call – we offer free delivery up to 15 miles (roundtrip) for quarter cord orders and up. Our maximum delivery range is 45 miles. For a small fee, we can neatly stack your delivery order with or without steps at your residence. We can double split your order prior to delivery and we also offer our splitting service at an hourly rate.